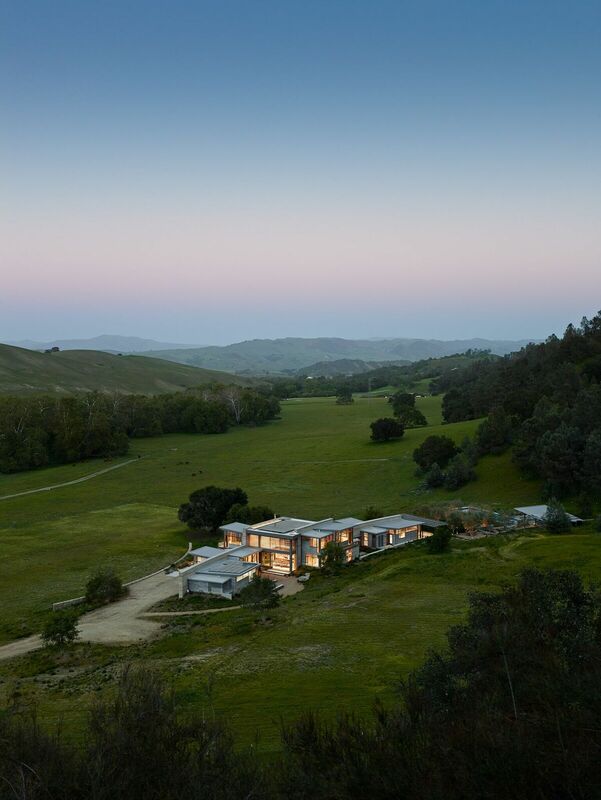 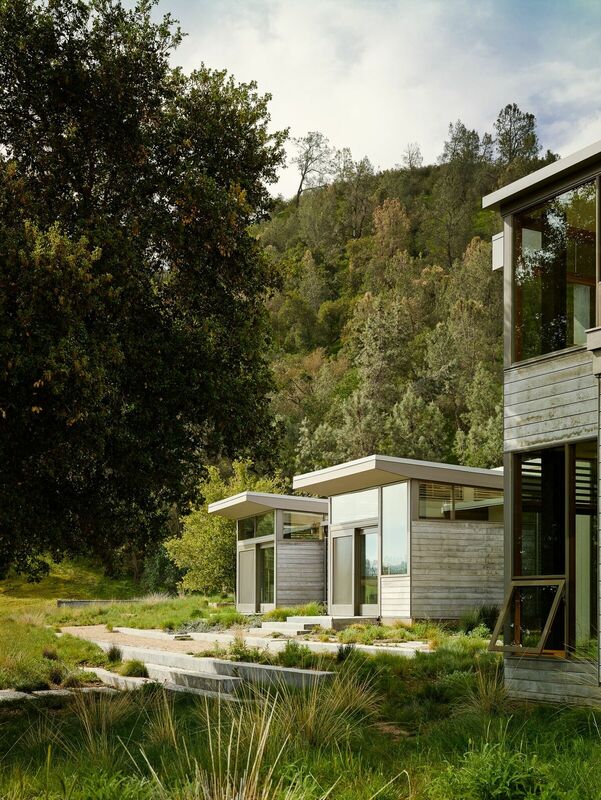 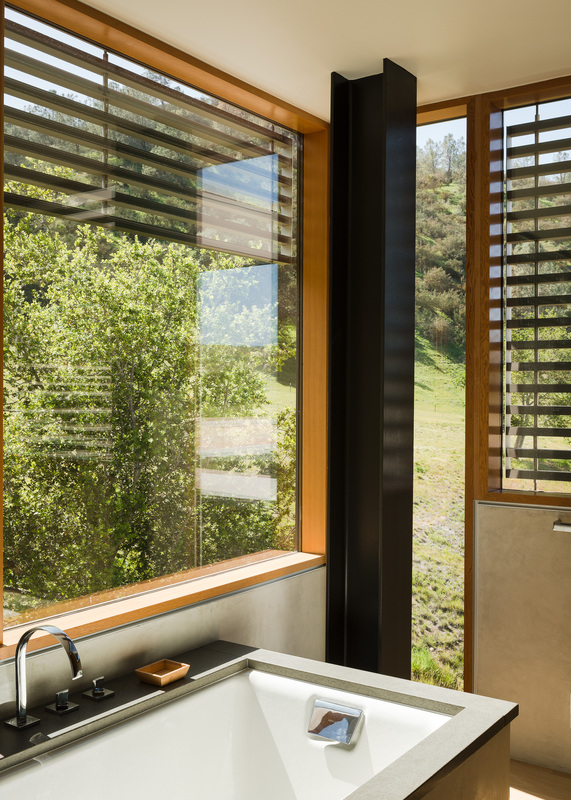 On a 500-acre site running along the San Andreas Fault, San Francisco-based Feldman Architecture created a family retreat for multiple generations. 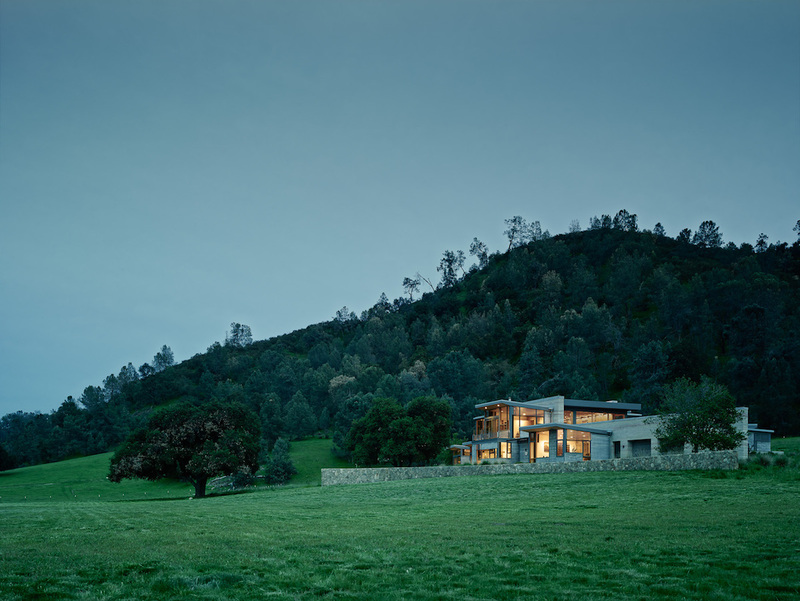 It’s also a former walnut farm, now restored, with cattle grazing, vegetables growing and a creek running through part of it. 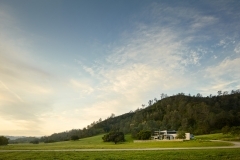 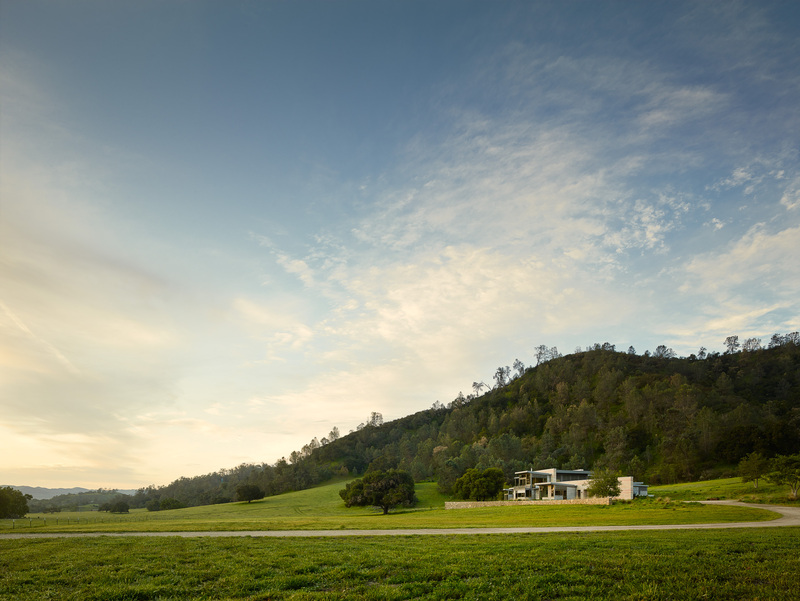 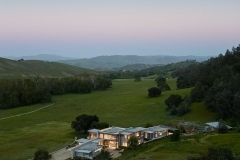 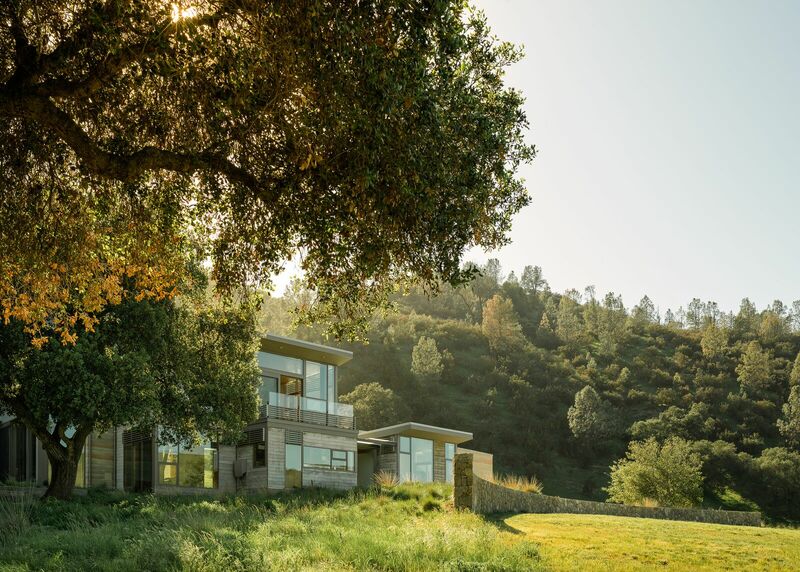 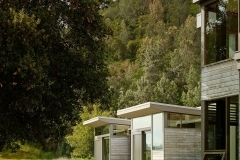 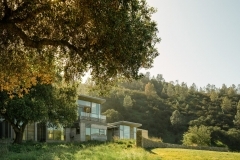 Its Northern California locale means heat in the summer and cold in the winter, so the architect nestled it into a hillside where two oak trees provide shade. 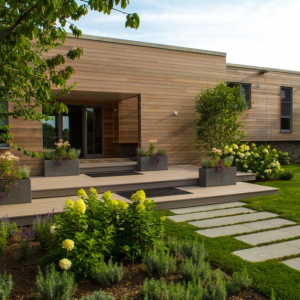 “We created a series of courtyards, with one focused on one of the oak trees, situated off the kitchen and breakfast area,” he says. 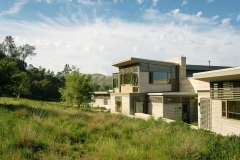 The architect wanted to build a house nestled into a rough and dramatic landscape, with a variety of gathering spaces. 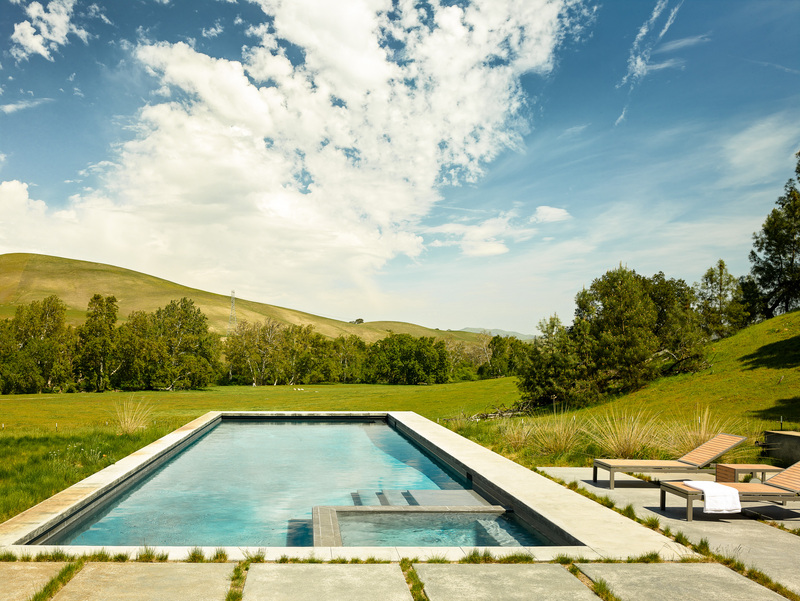 “We stretched out the program outside and in with different microclimates and views,” he says. 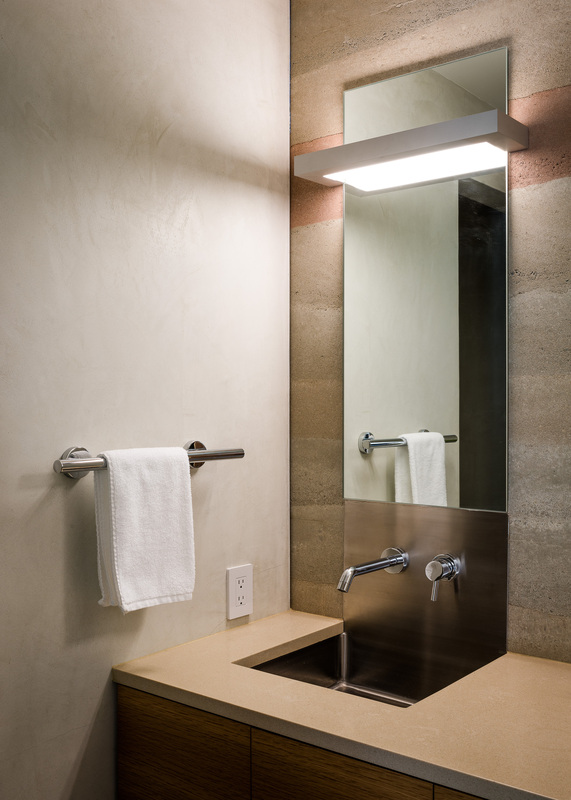 The client loved modernism, he says, but wanted fewer clean lines and more texture. 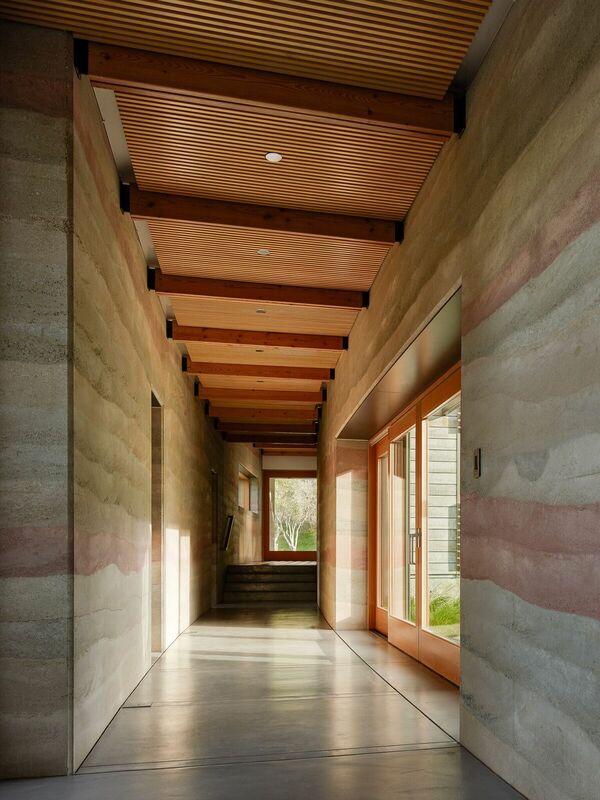 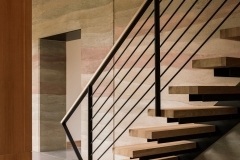 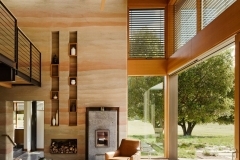 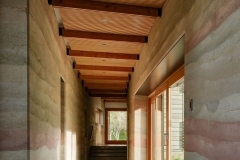 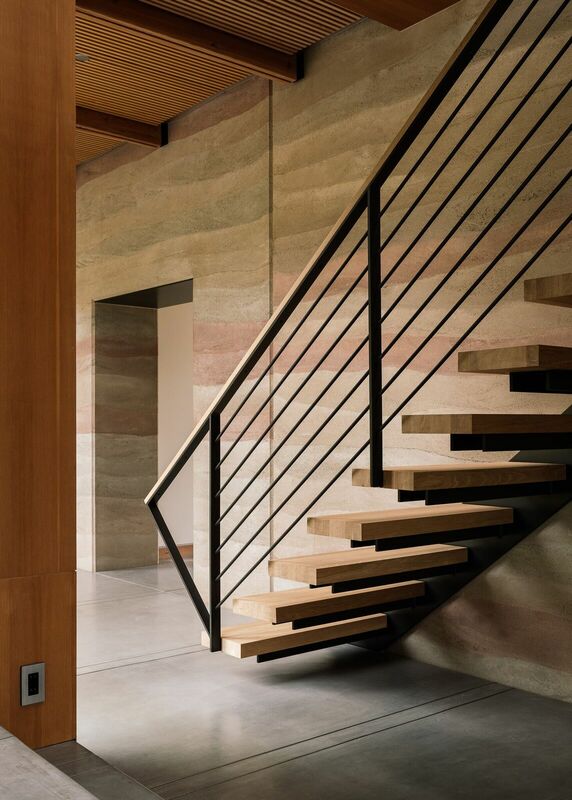 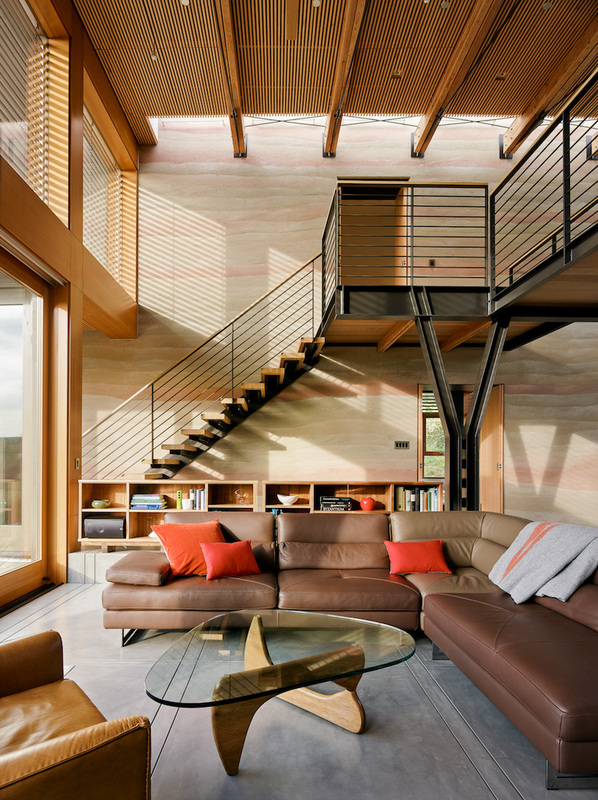 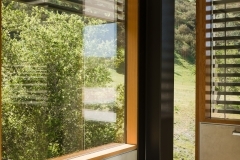 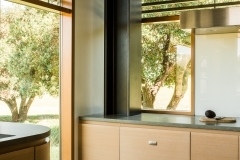 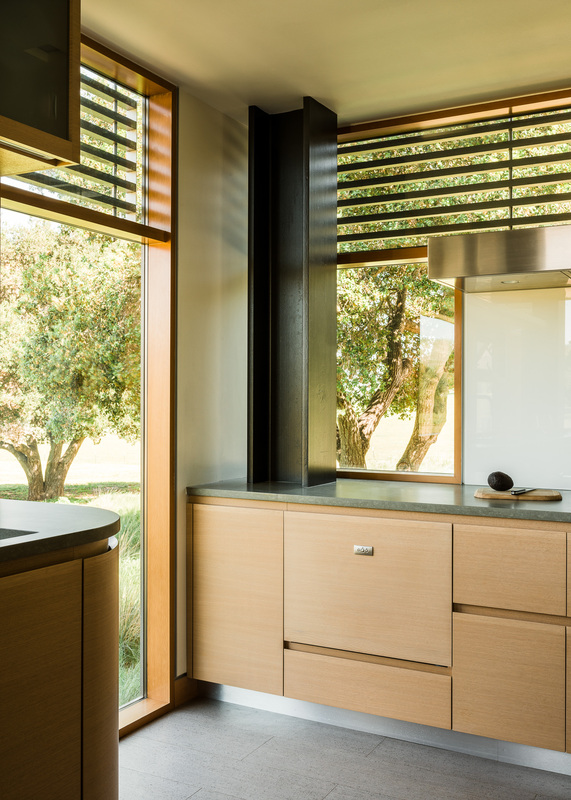 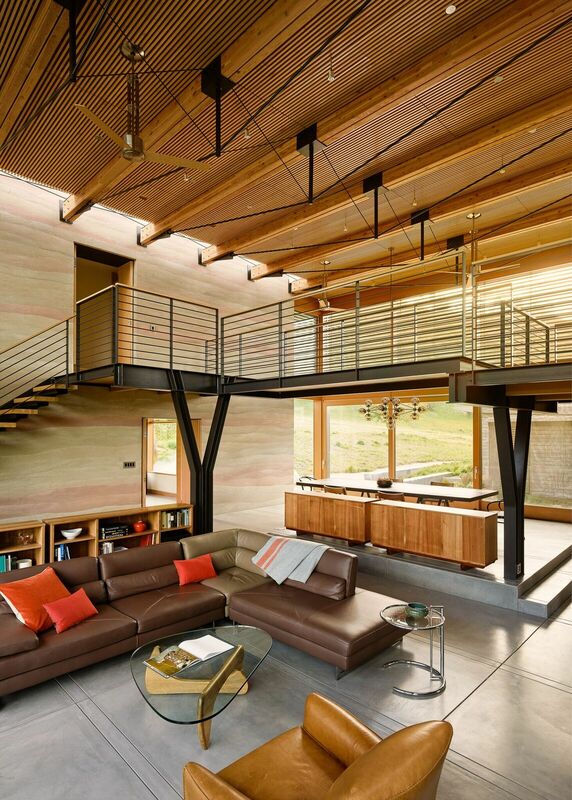 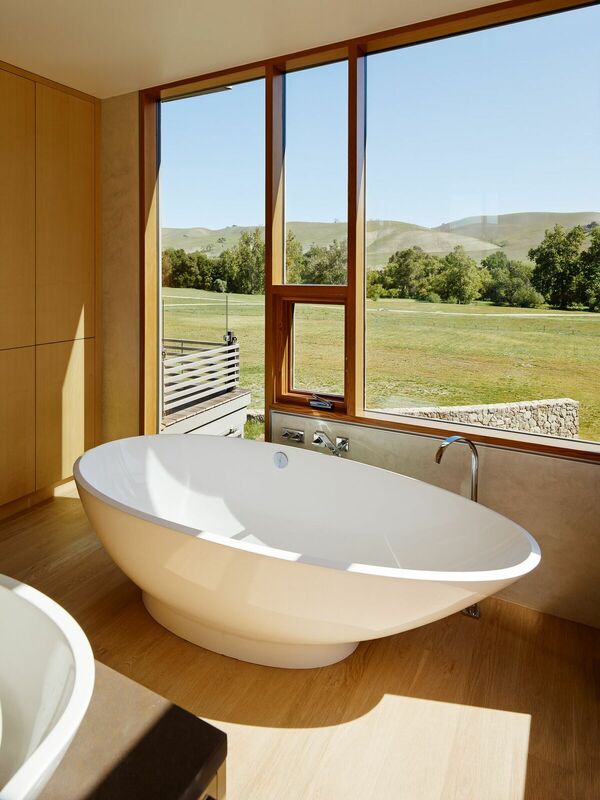 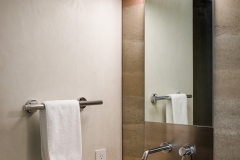 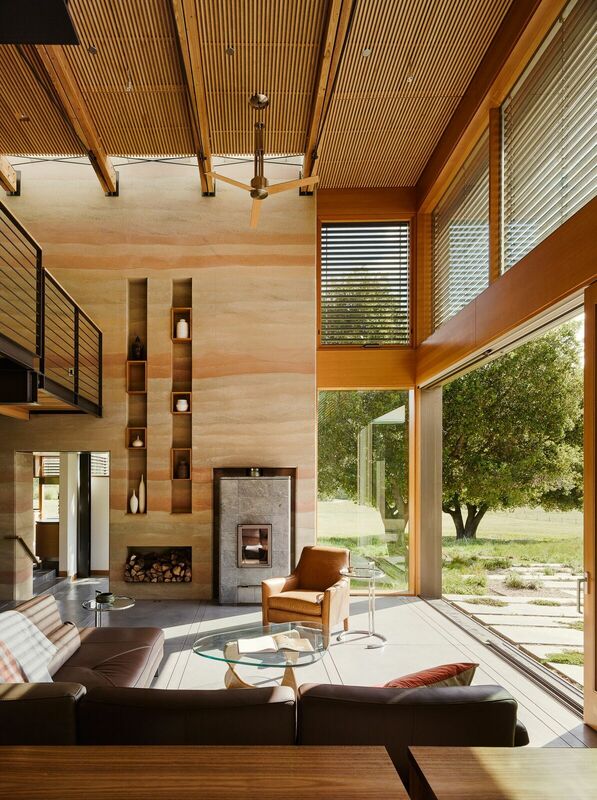 Rammed earth was the solution of choice – with the architects doing actual drawings of the desired results. 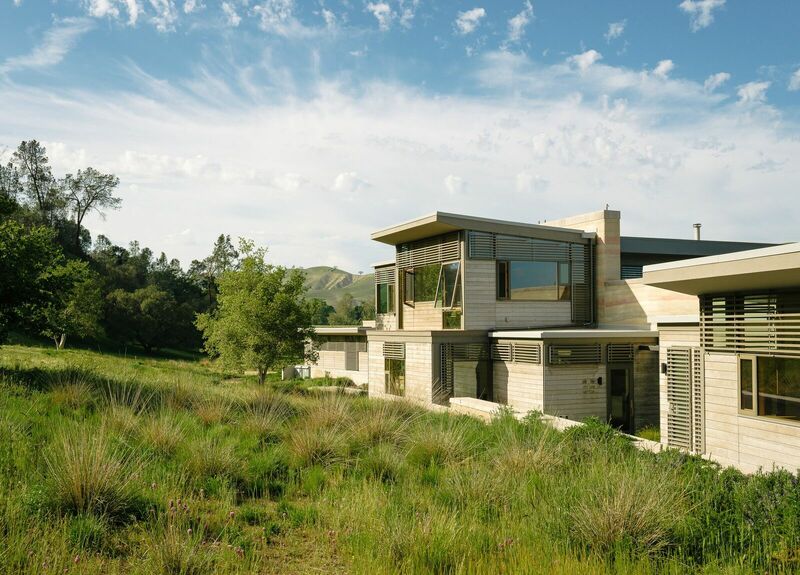 But there is a rare kind of beauty to the 6,500-square-foot Spring Ranch walls – and a winning LEED Gold performance to boot.